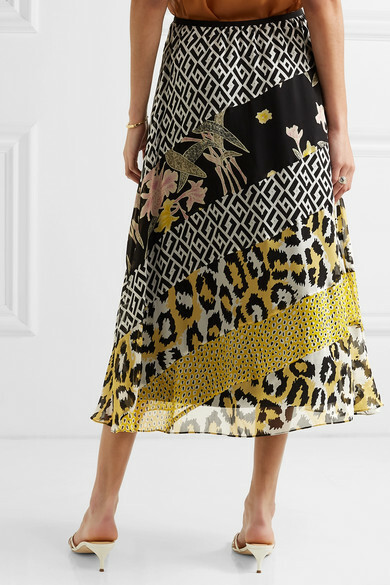 Diane von Furstenberg's prints are almost as legendary as the brand's wrap dresses and this 'Darcie' midi skirt is spliced with so many of them. 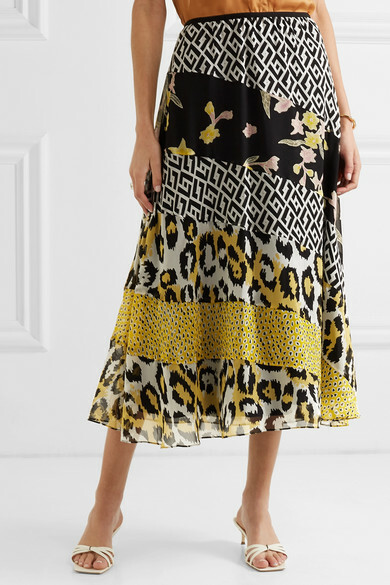 It's cut from lightweight silk-chiffon and has a comfortable elasticated waist. 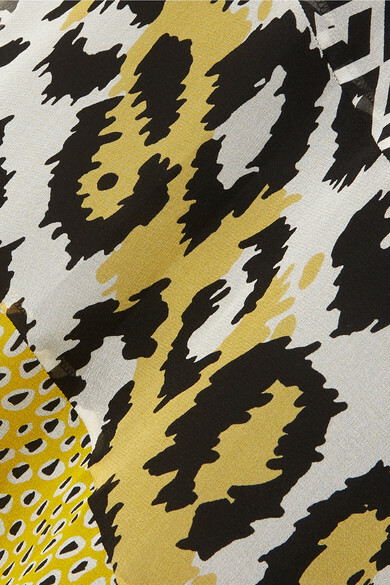 Match your manicure to the pops of yellow. 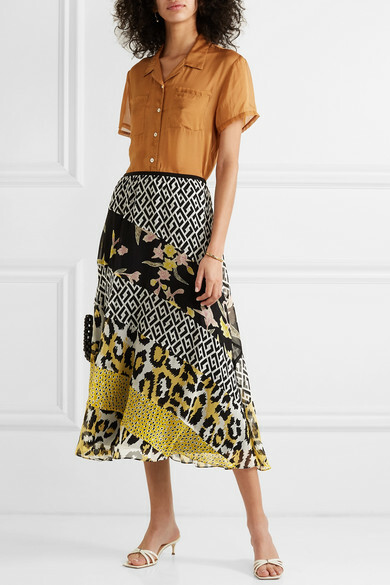 Shown here with: MATIN Shirt, Rosantica Clutch, BY FAR Mules, Sophie Buhai Cuff, Paola Vilas Earrings, Paola Vilas Ring.